“Youthful skin. At any age” is our motto. The LifeCell brand is dedicated to manufacturing safe and naturally-derived anti-aging alternatives. For nearly a decade, we have managed to lead the skin care industry in a new direction by creating a line of high-quality anti-aging products designed to target each visible aspect of aging. 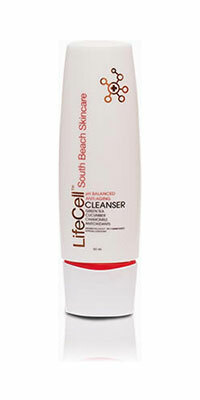 LifeCell skin care products have become a leader amongst anti-wrinkle, and skin-tightening treatments. We are dedicated to delivering breakthrough anti-aging essentials without ever losing sight of our initial goal: to make people look and feel young again. Here at South Beach Skincare we are constantly keeping up with the latest breakthroughs and innovations in clinical skin care. In addition to being passionate about skin care, that passion also extends to the preservation of our environment and protecting animals. From responsible ingredient sourcing, to product development and packaging, you can trust that LifeCell is not only good for your skin, but also good for the environment.